It is Carnival time. One day a message arrives. Will seven-year-old Malaika let anything stop her from taking part in the Carnival? 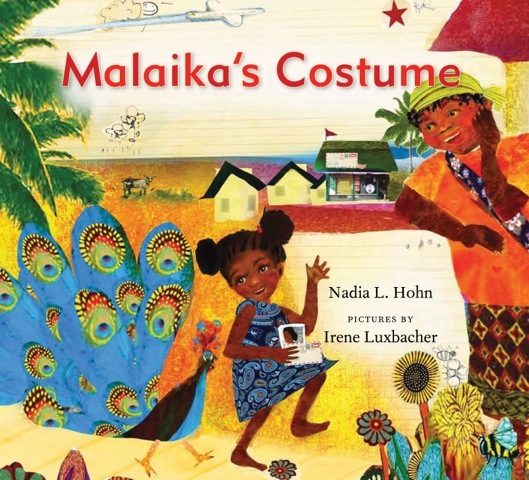 Malaika's Costume is a picture book written by Nadia L. Hohn and illustrated by Irene Luxbacher was published by Groundwood Books in March 2016. Order your copy of Malaika's Costume today.